One of the hardest things for any big dog owner is finding toys suitable for them. Here is the challenge. Big dogs range from gentle giants to destroyers, where even the gentlest of giants possess enough size and jaw strength to destroy the vast majority of dog toys on the market. And the destroyers? Well, those big dogs are the most challenging of all to buy dog toys for because they seek to kill, to butcher, and to completely gut every dog toy they get. Size: Toys must be large enough to not pose a choking hazard. Materials: Toys should be made of hard plastic, rubber, or a composite that is non-toxic and strong enough to withstand the power of big dog jaws. I strongly prefer products made in the USA. Durable: I take this one literally. A durable dog toy needs to be just that… DURABLE. My definition may be different than yours, but I consider a dog toy durable if my dogs play with it daily, outside, and it lasts longer than 6 months. Because 90% of the dog toys I have purchased do not make it past one month, I feel this standard is stringent, but fair. Anything less than that and I feel like I have tossed my money right in the garbage can with the ripped up dog toy. Made in the USA! This is my strong preference, so when given a choice, I opt to buy American. Toys for Big Dogs? Really? **This is a special message to all dog toy manufacturers. 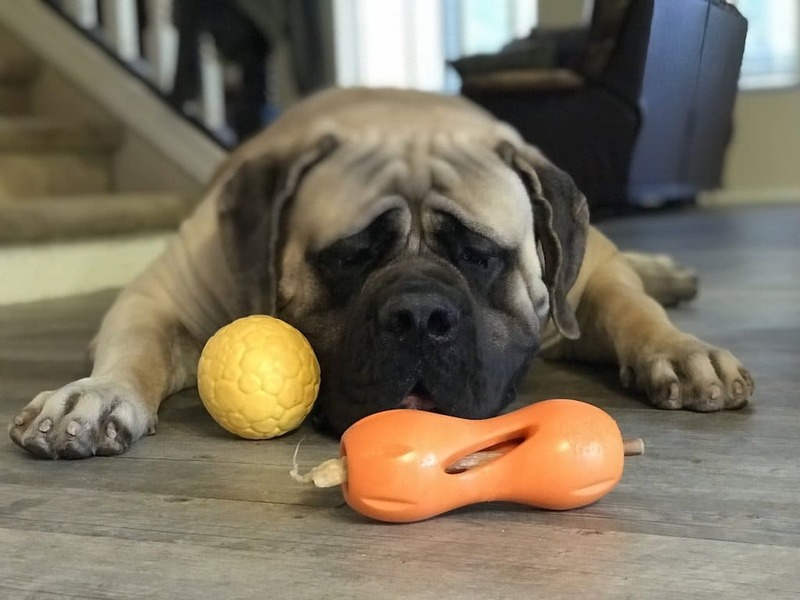 As big dog owners, we expect that if you are going to market your dog toys for large and giant breed dogs, and you put the word DURABLE on the package, we expect that toy to last longer than a week or two. DURABLE implies that your toys have been tested and are able to withstand the strong jaws and rough play of a big dog. Do not test your toys with a cocker spaniel and extrapolate those results to a German Shepherd or a Mastiff. The experience of nearly 100% of the Big Dog Mom community is that most dog toys are a complete waste of money because they just don’t last. They are NOT DURABLE despite their branding and designer packaging. And because most dog toys fail this simple test, when we find a dog toy that is tough enough for a big dog, we are loyal to that company. We recommend that company to our friends. We write blog posts about that company with no expectation of compensation. And we support that company with our money and our voice. So, if you are a dog toy manufacturer and your brand did not make this list, ask yourself why. 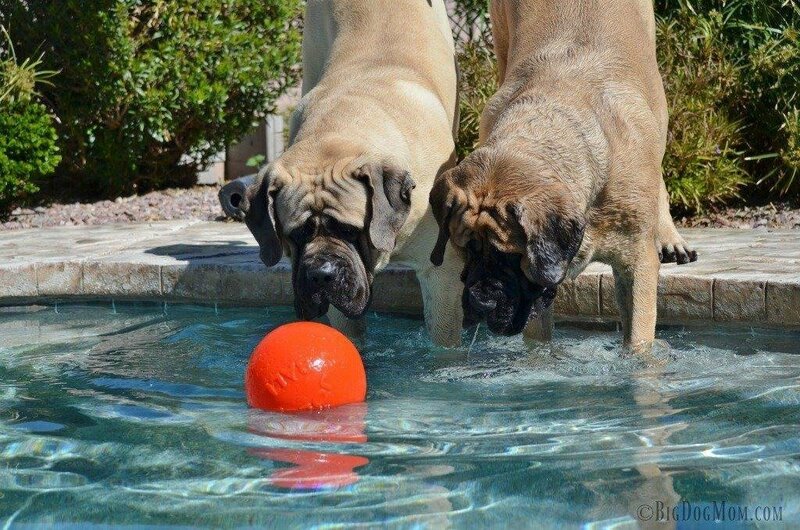 Are you marketing your toys as DURABLE for large breed dogs? If so, and your name is not on this list, we beg to differ. There is nothing worse to a big dog owner than investing $25 in a dog toy only to have to toss its remains in the garbage two weeks later. That is not an investment. That is refuse. And it is clearly NOT DURABLE. And if you don’t, your market will be limited to our little dog friends. This post contains affiliate links from which I may receive a small compensation. There is NO ADDED COST to you should you use these links. Thank you very much for your support. In order to compile a list of more than my five “go to” dog toys, I reached out to members of the Big Dog Mom Community Facebook Group [not a member? Join here! ], Big Dog Mom on Facebook, and all 2,500 friends on Instagram and Twitter. I gathered feedback on their favorite toys. Those toys that met the standard of being both fun AND durable. This feedback increased my list of five dog toys to a whopping 10! The following are the top 10 best dog toys for big dogs as recommended by the Big Dog Mom Community. *To big dog owners: Consider checking out any of these you do not already have. All would make a terrific stocking stuffer, birthday gift, or a “just because I love you” gift for the big dog in your life. This list was compiled by and for big dog owners. If your brand is not on this list but you would like it to be, reach out to me personally (stephanie@bigdogmom.com) or join the Big Dog Mom Community to hear what big dog parents are looking for in the dog toys they invest in. All of the products on this list were purchased by me or those in the Big Dog Mom Community. Placement on this list can NOT be bought through sponsorship or free product, only merit. You have to earn the right to be here. Good luck! While this list is not in any particular order, if it was, West Paw Design toys are right where I would put them… at the top! West Paw are my absolute favorite toys for big dogs! So much so that they made it to my annual top 10 list of BEST gifts for big dogs and big dog owners, The Ultimate Gift Guide for Big Dogs: 10 Gifts Your Dog is Begging For! They are made in the USA (Montana), latex-free, non-toxic, recyclable, and dishwasher-safe. West Paw takes their guarantee to next level offering a Love It Guarantee™. If you are unhappy with the performance of a West Paw product, they will replace or refund your purchase, no questions asked. Kong Extreme is and has been my #1 recommended dog toy for all dogs for many years. The reason is two-fold. It has withstood tremendous chewing from several Mastiffs from puppies to adults. And its versatility is unmatched by any other dog toy out there for stimulation. I keep a stuffed Kong in the freezer at all times, especially when I have a puppy in the house. That said, unfortunately what was a tried and true brand at one time, I have found to be less consistent. Some of the Kong toys have held up, but not all. Here are a few that have held up against heavy use by my two Mastiffs. Similar to Kong brand toys, Jolly Pet makes some great toys and some toys that are entirely inappropriate for large and giant breed dogs. While Junior and Sulley love these toys, several of those I have purchased have been destroyed within a couple days to a few weeks. 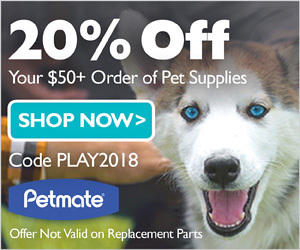 Sadly, I think Jolly Pet is like Kong in that they are taking advantage of their brand equity, name recognition yet producing lower quality products that do not meet the big dog test. I am including here ONLY those that I feel meet the big dog test. This one was recommended in the Big Dog Mom Community by a member with several dogs of in a range of sizes. While I have not had the opportunity to verify whether these are Mastiff-tough, with a little research and the strong recommendation from the group, I feel their value is sufficient to warrant a mention here. Tuffy's Mega dog toys rank 10 out of 10 on their durability scale making them the toughest of the tough for big dogs. They are machine washable for easy cleaning and they float in the water for pool time fun outside. And, best of all, they are made in the USA! This dog toy came highly recommended by several big dog owners, including Jennifer at My Brown Newfies. These are products that were recommended to me with rave reviews by several big dog owners, including an American Bulldog owner on Instagram. While I have not tried these toys myself, they meet all of the requirements for a Big Dog Mom approved dog toy for big dogs. Virtually Indestructible Best Ball for Dogs, 10-inch are made in the USA from non-toxic recyclable hard plastic and come with a lifetime guarantee. As a bonus, they can float in the water for pool-time fun! Cycle Dog durable rubber dog toys came highly recommended by quite a few members of the Big Dog Mom Community. While Junior and Sulley have not had the pleasure of playing with one, I am confident this recommendation for big dog owners is a great one. Watch this video about how this company got it’s start in Oregon. So very cool!! All Cycle Dog toys are made in the USA from Ecolast post-consumer recycled content for hours of long lasting fun for your dog. They are guaranteed fun, safe, and, most importantly for big dogs, tough. Here are a few Cycle Dog 3-Play Hippo Dog Toy, Ecolast Post Consumer Recycled Material, Blue that we will be trying. I am particularly excited to try the 3-Play toys as they feature 3 ways to bring joy to your big dog: treat hiding body, squeaky heads, and they float in water, making them great water dog toys. StarMark came highly recommended by several big dog parents within the Big Dog Mom Community and, thus, made it to the top 10 list. These dog toys come with high reviews overall. They are made with a virtually indestructible non-toxic material that is stronger than rubber which is great for powerful chewers and is dishwasher safe. As you can see from the video, StarMark dog toys may provide hours of challenging play, while the stimulation of getting the treat out will help to reduce anxiety and boredom behaviors. While I personally stay away from commercial treats, once the treat that comes in this product comes out, the toys themselves provide a plethora of other fun ways to play or enhance stimulation. Last, but not least, is JW Pet. I have purchased a few of these dog toys over the years and have been very impressed by how well they have endured. While they are a little chewed up, and one of them has no squeak left, I still have both of the original toys I bought years ago. Both of these balls have provided hours and hours of fun for all of my Mastiffs over the years, so I recommend them highly. *One word of caution on the Cuz ball. The squeaker is LOUD! Sulley and Junior love all toys that squeak, so this dog toy provides hours (and hours) of monotonous squeaking for them. Based on my experience, I think the Cuz ball would make a terrific stocking stuffer for a “friends” big dog as well. ?